Rainstorm dependably hits the correct string. 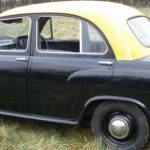 Exactly when I was good to go to venture in the Gym for the first run through to shed down my weight, chilly and hack got me and I wound up composing this article with some hot espresso in my left hand and one case in my mouth. We always hate medicine. Well apart from few sweet sugary cough syrups, almost all tablets, pills and capsules are dull and sometimes even sour. When you are feeling ill and asked to have these pills, you definitely revolt against it. Why on Earth will someone have it with such a bad taste. Perhaps the answer is simple, You Are SICK ! ! So just while I was being mean to my health and giving second thoughts about not having the capsule, one thing struck my mind. 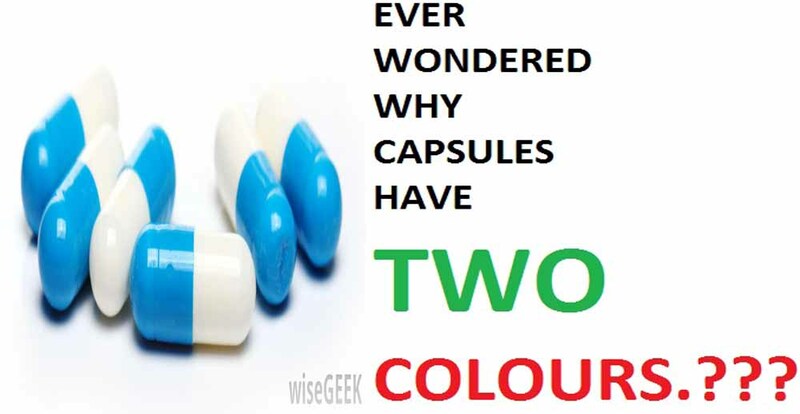 When its just a capsule, why does it have two different colors ? Why does is have two different parts ? It could have worked even if it was just one whole thing, RIGHT ? May be NOT ! ! So first we need to understand how these capsules are produced. It was shocking to see that the two parts of the capsules were not of same size as soon as I opened them up. Have a look. As you can see, the size of the two parts are not the same. One is wider than the other. And if you look closely then the wider one has more content than the shorter one. This definitely means that the shorter one is the ‘cap’ while the wider one is the ‘container’. Although both can act as a container, but its our general perception to consider a wider one as a container and shorter one as cap. 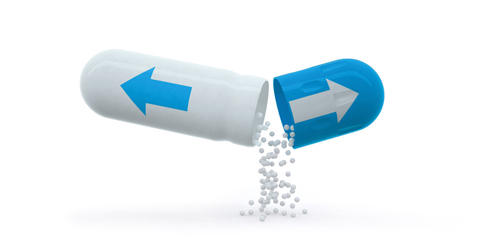 Now When the filling operation takes place with capsule filling machine, the body part i:e container is placed at bottom with mouth up so that it can take in the content and after filling the cap part is placed on container. Now such precision for making thousands and lakhs of capsules in small amount of time is a big deal. Imagine if both the parts were of same color, it would have been quite difficult to differentiate between cap and the container even on the basis of size and diameter. Hence, different colors were imparted to them so as to increase the production efficiency. Also, there are many other reasons too. 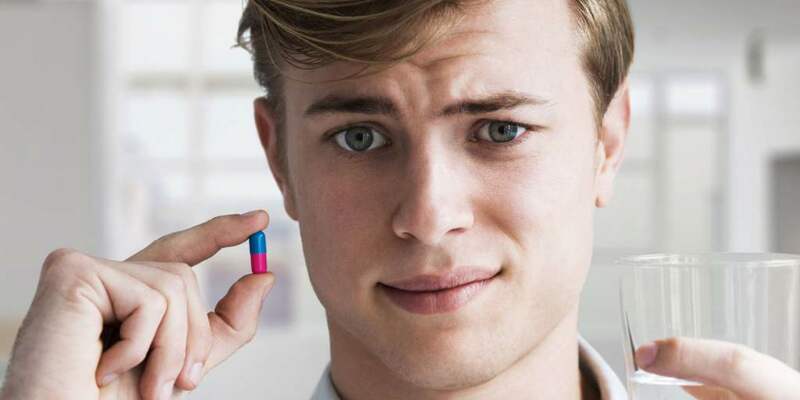 Many patients, especially kids are more attracted towards colored capsules. Yes my dad made me a fool way back when I was small by saying that this Red-White capsule is a Vanilla-Strawberry flavoured toffee. 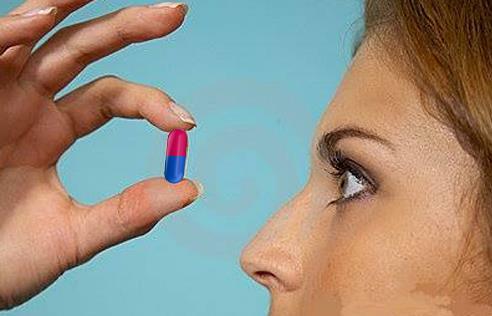 People get more confidence to take brighter colored capsules. So this coloring of capsules is also one of the marketing tactics of various Pharmaceutical companies.